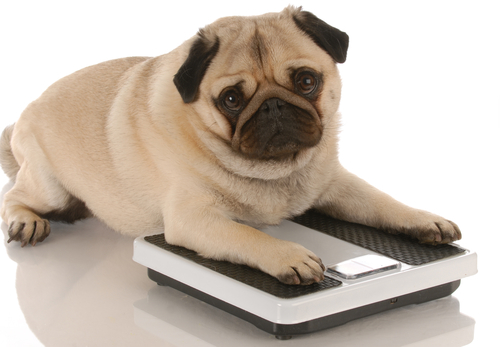 Is Your Puppy Overweight ? What You Need to Know! - Petpav - Your Online Magazine for All Things Pet! Is Your Puppy Overweight ? What You Need to Know! It’s important to feed our puppies on a regular basis and give them plenty of nourishment. But, it’s equally important that our puppies stay at an ideal weight. If your puppy is looking extra chunky, you should do your best to fix the while he or she is still young. The last thing you want is for your pup to turn into an overweight dog. Usually, with puppies, it is just a matter of losing a few pounds before it becomes a real issue. 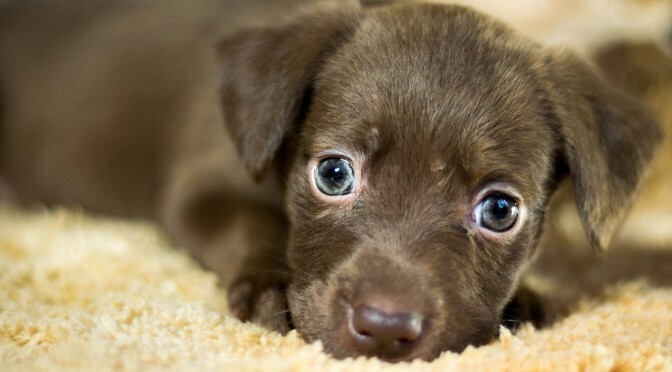 There are certain signs that your puppy might be overweight such as heavy breathing, lack of endurance, lethargy, and trouble getting up or walking up stairs. Let’s hope it doesn’t get this far! There are certain weight charts that will help you determine what your puppy’s weight should be, but that varies among age and breed. As always, it is best to consult your veterinarian, if you are unsure. If your puppy is overweight, the ribs are hard to distinguish from his or her fur and there is a distinct cover of fat. You will probably start to notice fatty bumps around his ribs and tail. He or she has no waist! Some physical conditions can cause weight gain in puppies. 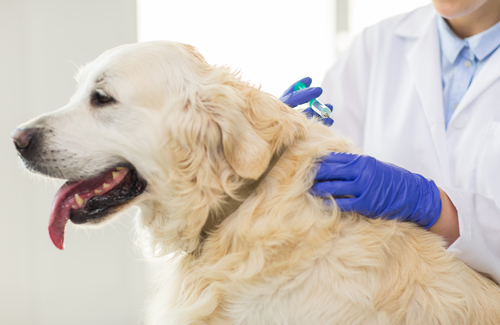 Hypothyroidism is a main culprit and your veterinarian can run some tests to make sure your puppy is healthy. 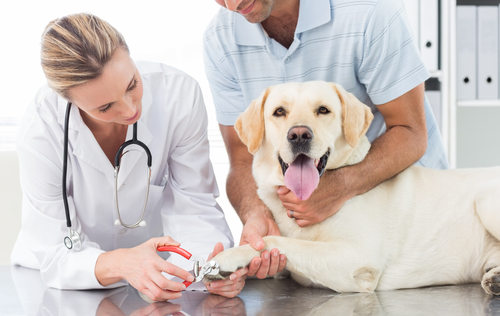 Your vet can also weigh your dog to determine if he or she is within in the normal range. It is crucial that you change either the type or amount of food you’re feeding your puppy. High protein foods sometimes cause weight gain but so can high carbohydrate foods, so a balanced diet is best. Weight management foods can help, but try to see if you can add more fiber, protein and water to your puppy’s diet. As with humans, it is all about portion control, high quality food with less additives. To help get your puppy’s weight down, you should slowly increase your puppy’s exercise. Ideally, a dog should be walked at least twice a day for 30 minutes. Also consider other ways to be active with your dog such as playing fetch and having him or her run at a dog park. If you are used to walking, try picking up to a jog. It could help both you and your pup get fit! Treats for puppy training can cause weight gain! While training your puppy, you probably give your pup treats as positive reinforcement when behaving well. We all do it. But, try switching to a low-calorie or high fiber treat! Einstein Pets has one-calorie treats that your pet will love! Or see if you can get your puppy to snack on fresh vegetables. And, of course, praise is the st reward. Your puppies will love it and it has no calories! If you follow the above tips, your overweight puppy should lose weight easily. Portion control and exercise are fundamental in puppies, dogs and even humans.